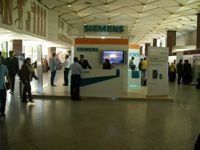 is a unique specialized exhibition in Egypt for Communication, wireless & information technology professionals. The event will be held on 15-17 May, 2016 - Cairo, Egypt. Among the participants of Communic Egypt 2016 exhibition are the leading producers and distribution companies specialized in communication, wireless & Mobile technology from Egypt and abroad. The aim of the Event. To assure the business cooperation of specialists, to create favorable conditions for developing regional and international relations, to arrange contacts of authors, producers of equipment with potential buyers, to acquaint specialists with new technologies and achievements in Wireless technology. In CommunicEgypt2016 Visitors will be able to find out about the very latest products and services on offer and meet face-to-face with suppliers. Communic Egypt expertise is well represented, but a wide variety of international exhibits will show what is on offer on a global form. Computers and Servers; Personal computers; Notebooks; PDAs; Access control systems; Automatic data capture; Biometric identification systems; IT security; Digital photography; Digital storage; Monitors; scanners; Projectors; Smartcard and microchip card technology; Apply to the computer system in worker, trader, finance, etc and relevant equipment; Printers; copiers; Modems; Industry Automation Control System; Digital Broadcasting System; Voice, Video and image processing; Voice recognition, etc. Electronic components manufacture equipment; Semi-conductor and IC manufacture equipment; A full range of electronic instruments and meters for testing and measuring; A full range of electronic materials; Electronic components; components supplied for forming an integral set; Components supplied for forming an integral set; Cable and connector; Transformer, battery and power supply. The international specialized exhibition CommunicEgypt2016 is the largest and most representative exhibition in the field of telecommunications and information technologies in Egypt. 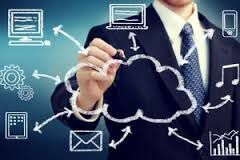 With the advent of the Internet and automation; IT is no longer only for companies in the technology-related fields. Companies from other sectors such as banking & finance, healthcare, hospitality, logistics and many more recognize the importance of good IT infrastructure. Interest potential buyers in your products . Monitor your competitors and develop new business strategies . Copyright 2016. Designed by SMB Co.